Our group had a great Sunday afternoon at this venue. The In-House entertainment involved the guests and everyone enjoyed the fun they provided A great place to bring friends , family and visitors to Melbourne for a pleasant afternoon of good food and atmosphere. 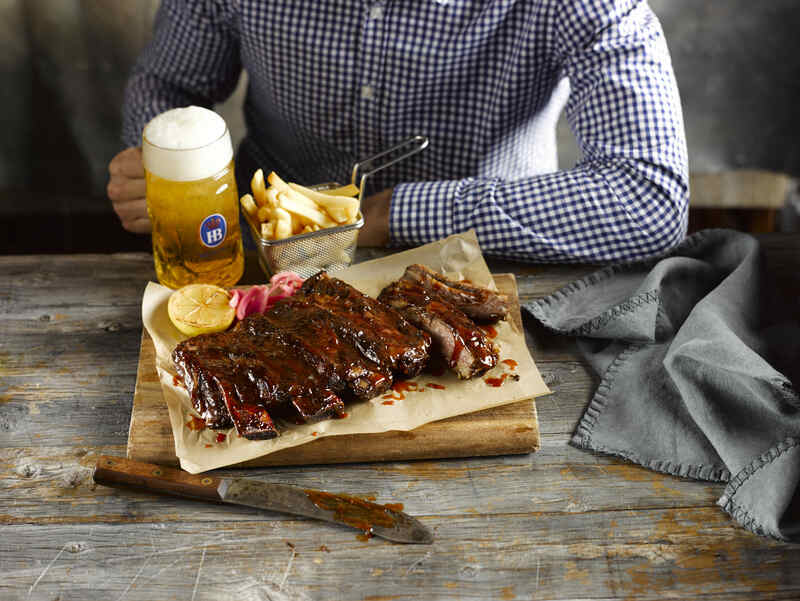 Munich Brauhaus South Wharf offers an authentic German dinning Experience. We were there (group of 3) on Saturday 30th March 2019 for a casual Saturday night out. We pre-booked (its a must) and allocated a table, serviced by lovely Martine. She provided an excellent service from the time she took the order until the end. The food were awesome, beers were lovely and topped up with service from Martine. 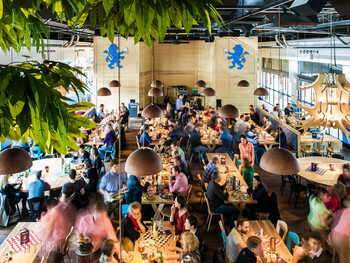 We will visit Munich Brauhaus South Wharf again. It was really worth celebrate my birthday there, but I would like to have more discounts for drink! I’m really happy!!! This is a place you go for a drink and maybe grab a bite while you're there, I definitely wouldn't go with the focus on good food. The atmosphere is good with music and people having a good time. We were seated upstairs where we the lighting is so dark we had to use the torches on our phones to read the menu. Despite clearly having 2 children with us we had to ask for the Kid's menu, had to ask (3 times) for water and had to go and get our own cutlery. We had a terrific time at Munich Brauhaus. The service is always amazing, the food wonderful, and the atmosphere awesome. Entertaining, fun to try something different. Lack of staff though.. took a while to get order And get someone to help. Great value for money, particularly if you buy a Groupon credit or take advantage of the 50% off set menu offer. Food is always fantastic but we were seated in he outdoor area near many bar goers most recently so very rowdy and the table was unstable. Ordering mistake was also made and entrees and mains came at once so we had no time to digest and no room on the table. The platter easily feed for 3 people instead of two. Everything in the platter are tasty. Ordered the chips which is a bit soggy. Staff were friendly. Perfect spot for groups. Really fun night with the 'Black Forest' Oom-Pah-Pah band. The 2 person platter was yummy but way too big for us to finish. The beer tube was impressive but pretty pricey. Great value with the Scoopon voucher. 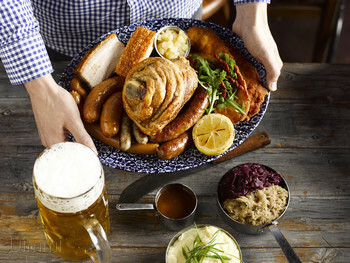 Oktoberfest all year round Do you wish you were in Germany with bratwursts and Bavarian Biers? Well now you can be. 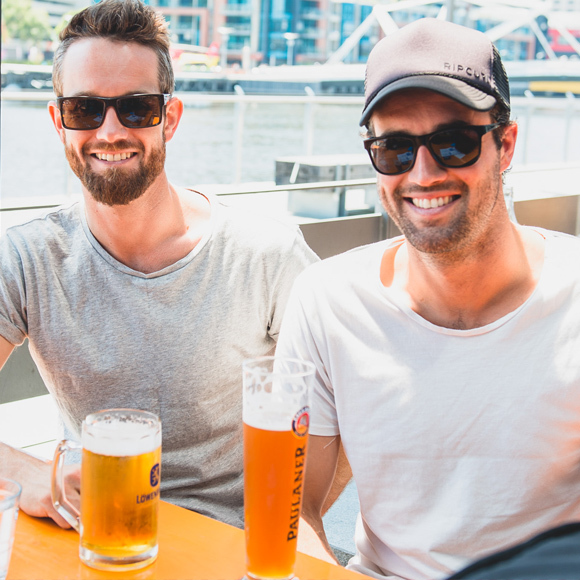 Experience Oktoberfest 365 days of the year with über biers, parties and food at this 1000-strong Munich-styled restaurant, located in the heart of Melbourne’s bustling South Wharf. 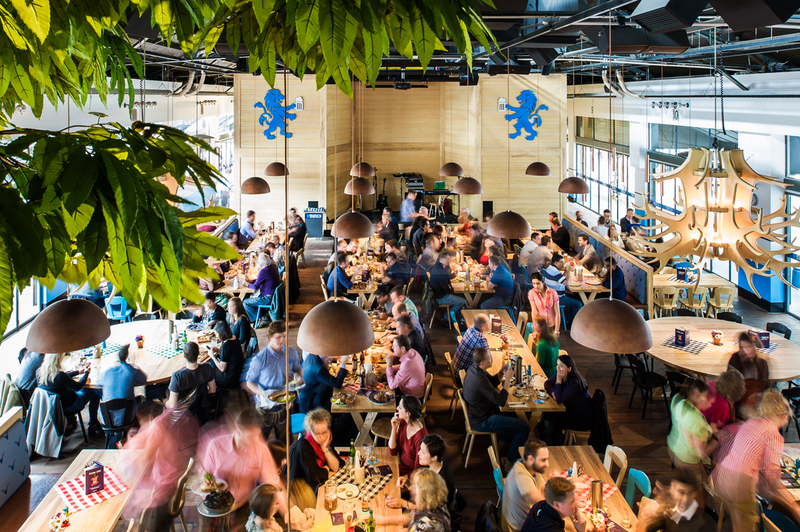 Equipped with three bars, a main dining room, mezzanine floors plus a private dining area Munich Brauhaus brings a traditional Bavarian bier haus to life, right here on Australian shores. 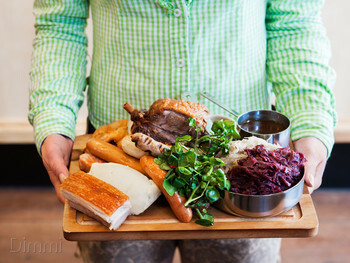 Paying homage to all things pork including schnitzels, sausages, pork belly and pork knuckle, as well as suckling pig sourced locally from Rivalea you won’t leave this venue hungry - or thirsty - that’s for sure. Get ready to eat and drink like you are in Munich. 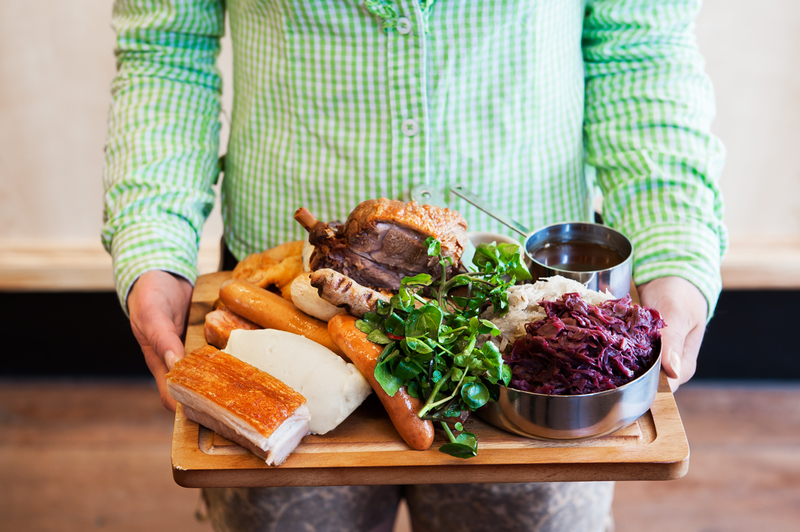 Best dish: Kalbsbratwurst … Chargrilled Veal & Pork Sausage with creamy mash, sauerkraut and bier jus.